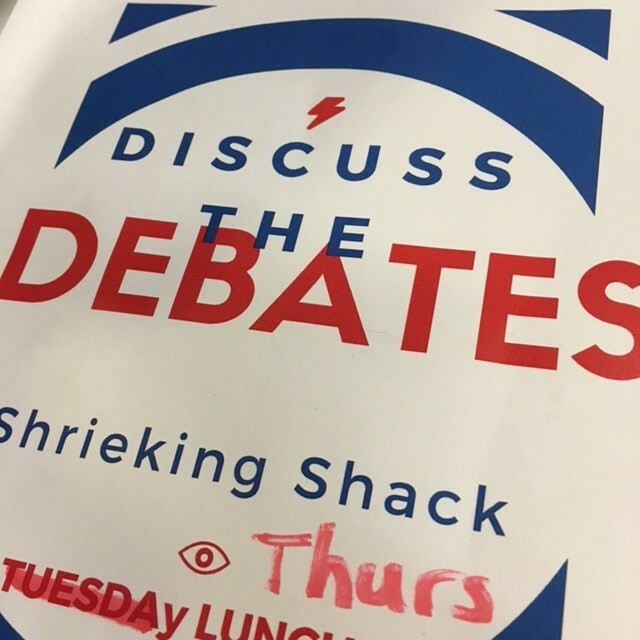 This fall, I decided to start lunchtime sessions to discuss the debates and politics and to promote civil discourse(see previous post). Honestly, I primarily started this as a means of sharing more of my personal passions with students at our large high school, but it’s turned out to be unexpectedly important example of how libraries can provide a forum for ideas. To my surprise over 40 students showed up for the first lunch meetings(over the course of two lunches). 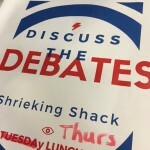 I set some ground rules for civil discourse, and had questions prepared in advance to guide the conversation away from re-litigating the debate and asking about the moderator, the format, and what surprised them, disappointed them, or interested them as well as about things that they thought were missing. Over the course of the three debates, many of the same students returned and when needed, we continued to discuss how to talk about the issues and stay in the civil zone of conversation. I didn’t know how prescient starting that activity would be, but we’ve had meetings now after each debate, and this week, students were eager to talk, so we’ve had three meetings since the election results were announced. I’ve tried to create a safe space for students to continue to express what they hope, what has surprised them, and to listen and talk. And in the process, I’ve also learned a lot myself. Some students feel more vulnerable than others. Some students feel confused. Some students aren’t sure how to be good winners or losers. Some students feel that we’re on the right path. Some students puzzle over attending protests. Some students don’t realize that wearing incendiary clothing might bother others. Most students are engaging in politics for the first time, and breathed a sigh of relief when I told them that most elections aren’t usually like this. I worry about how experiencing this election at a fledgling stage might impact their political involvement or hope going forward. Our students care about a variety of things — global warming, jobs and trade, Congress being able to make headway, abortion rights, gay rights, the economy, military force overseas and more. And the fact that they’ve returned for all these meetings, at a voluntary event in the library, tells me that they are interested in talking to others or learning to be more civil or expressing themselves. They’ve asked for our meetings to continue and a couple wanted to meet every day. So the need to process this is clear. While of course I have my own political viewpoints, there’s no interest or intent in influencing our students. I know they are vulnerable each in their own way. I am just interested in what they think and in supporting them in finding ways to talk about politics that will hopefully help them far beyond high school. 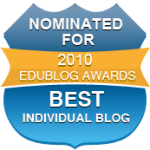 Libraries can help school culture in many ways, and providing forums for ideas is one of them. We can also can curate materials for social emotional learning, on election news, or on bullying if issues are arising at our schools in this heated election season. Plan your approach and some open ended questions for the first meeting especially. (I was helped by two former government teachers, one from my school, one from online. ) Think about questions that help students be more observational for the first meeting. Pick a space where you can all sit at tables together so you are viewed as a participant. Use open ended questions like — What surprised you? What are your hopes? What has interested you? What are you curious about? What are you conflicted about? (Here are my questions after the first and second debates as models) We have also discussed social media’s role. Be respectful and unbiased as you can. Listen to students. Bring in data or insight from your own readings where pertinent. Give everyone equal time as much as possible. Do remind students often of using multiple sources and watching multiple media channels to verify what they read. If students are repeating something you know to be false, guide them towards more reputable sources so they can check facts themselves. Invite teachers to join you, especially government teachers, who can lend valuable historical insights. Be brave. It feels that perhaps you are entering sensitive territory. Students are passionate. Trust your chops as an educator to know how to help students be civil and process their feelings. Start with a smaller group if needed. It depends on your student body a great deal as to what will work for your setting. If any of you have attempted something similar, I would love to hear your suggestions as well. Seeking and building understanding is so critical to the literacy of the future.